We’ve scanned the app stores top to bottom and came up with the top 5 apps for tracking what you eat. According to a Pew Internet & American Life study, 15 percent of adults with cellphones use health applications on their devices, with 17 percent looking up health information on the go. 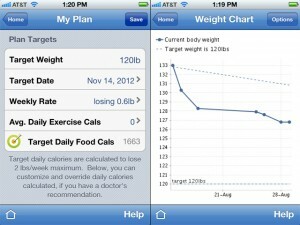 This is a significant trend, with many Internet users finding success by tracking their weight and diet habits online. These consumers are now turning to one or more of hundreds of apps devoted to helping users meet weight-loss and nutritional goals. With so many health apps, it’s hard to identify which one is right for you. In March, the American Heart Association presented research that found obese and overweight patients using an electronic logging system tailored to their needs were more likely to stick to a diet and accomplish their weight-loss goals. If you’d like to increase your chances of success in transforming your body, here is a look at the top 5 apps that will help you achieve your ultimate goal. Forget online shopping apps, these apps will let you track what you eat! 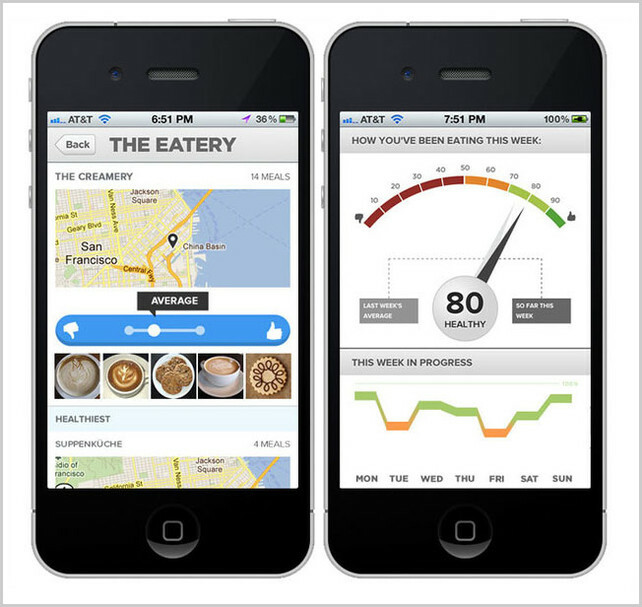 The Eatery is a free iPhone app that lets you capture pictures of your food and rate its overall healthfulness. You can post these images and ask friends who use The Eatery app to comment on them. The Eatery provides you with further insight into potential downfalls of your diet and feedback as to how healthy your eating habits were over one week’s time. It’s a fun and easy tool that gives dieters a good idea of exactly what they’ve been eating and how to identify troublesome spots. It can also be very motivating, considering that other people will get to see and rate your meals. This encourages users to eat healthier foods. The only real negative of The Eatery is that the ratings are only as reliable as the nutritional knowledge of those doing the ratings. Overall, however, most meals do seem to be correctly rated. Fooducate is also a free iPhone app, though for $3.99 you may purchase the ad-free version. Fooducate stresses the importance of eating healthy foods at home and on the go, and aims to help you lose weight. It contains a wealth of excellent food nutrition information as well as reviews similar to pressure cooker reviews at Cookware Nation review articles that help you determine which pressure cookers are the best and what to consume and easily track the foods you are eating. One of the coolest features of Fooducate is that the app will let you scan bar codes of grocery items to get a complete nutritional picture as well as a letter grade for the foods’ overall quality. This comes in handy when walking down a store’s aisles as you are trying to determine what meals to prepare for your family. 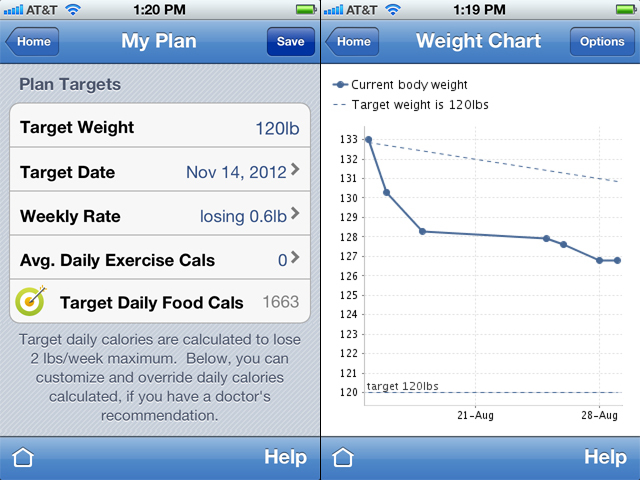 Many reviewers consider Fooducate to be one of the best apps to track eating habits. 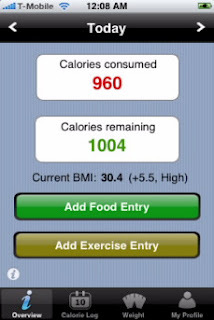 MyNetDiary is a free food-diary service with apps available on iPhone, Android, Blackberry and Windows Phone 7. An ad-free ‘pro’ version is available through the iOS App Store for $4. MyNetDiary is a very simple and user-friendly app that makes food journaling and calorie-counting easy to fit into your day, increasing the chances of successfully meeting your weight loss goals. Counting calories is hard. Well, it’s not anymore! Calorific, a free app for iPhone and Android, offers a food library that allows users to record their intake of calories during the day. Calorific assigns foods a red, yellow or green light, depending on how likely the food is to be harmful or helpful to your health. This app is beautifully designed, and its simple interface encourages users to make a long-term commitment. Because Calorific is so easy to use, dieters have fewer excuses not to log their eating habits, which, over time, increases the chances of success. Tap & Track is available on the iPhone for $3.99. It tracks all of the calories you consume as well as calories burned. 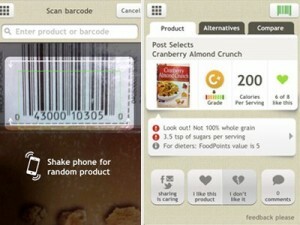 Tap & Track is fairly easy to use and has a database of over 400,000 different foods. What makes this app unique is that it automatically adjusts ‘allowable’ calories as the user loses weight. For those who like seeing their accomplishments on a chart, this app is able to compute a line graph that shows weight loss for any period of time just by entering the dates. There you have it! 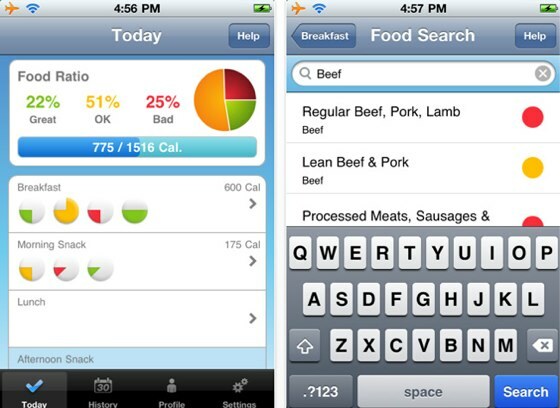 The top 5 apps for tracking what you eat. Find any other apps that you recommend, and share them in the comments section! Isaac Sanger writes for Cascade Healthcare Solutions, an online provider of medical supplies to individuals and medical professionals and writer for my recipe manager – The simplest way to store recipes on your iPhone or iPod. I would also suggest the free app and website TrackEAT (www.trackeat.com). We have the application on both iOS and Android, and also web version. There is another one I really like. I made this app for myself 😀 so its free and without adds. its called “What did I Eat? macro counter”. It’s not an original name but the app does what it should.